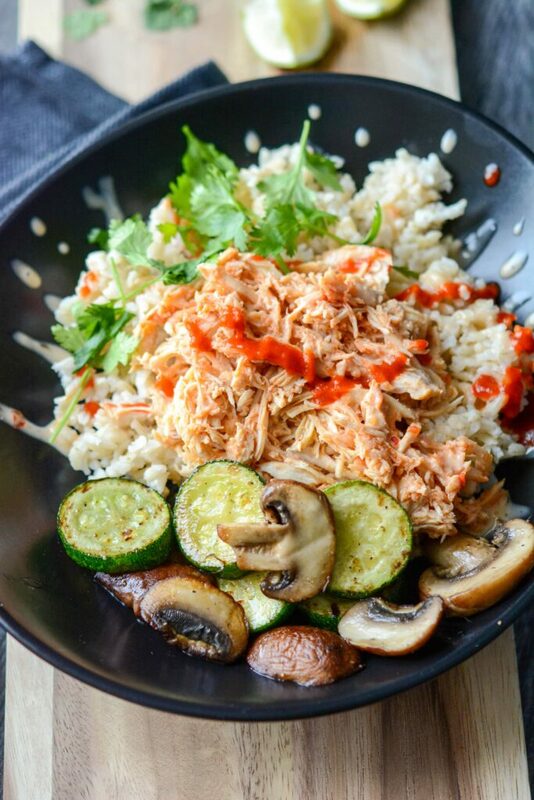 Sometimes a little simple and spicy chicken is all you need to brighten your day! 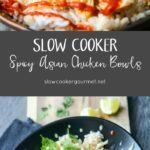 With only 4 ingredients going into the slow cooker you can have this one cooking away with barely any effort. 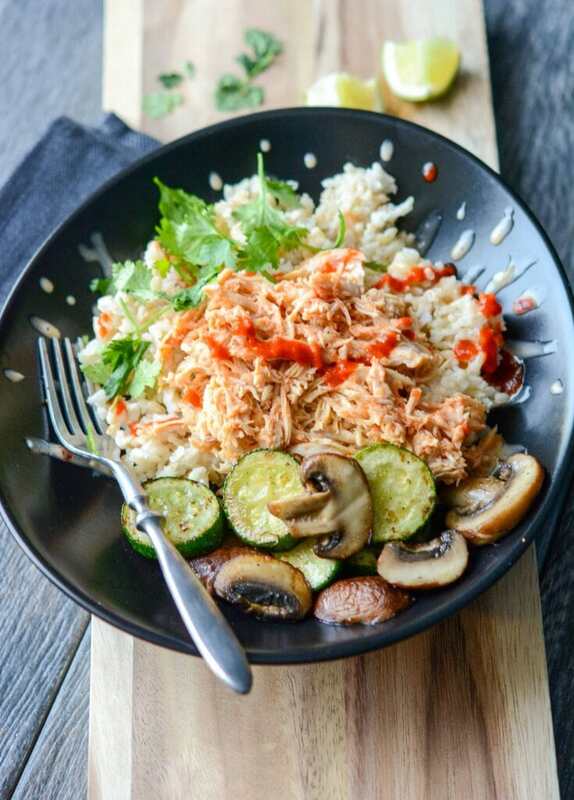 Sauté up a few of your favorite veggies, serve it all up with a little steamed rice and finally drizzle it all with a bit of sauce and a wholesome and delicious dinner is done. 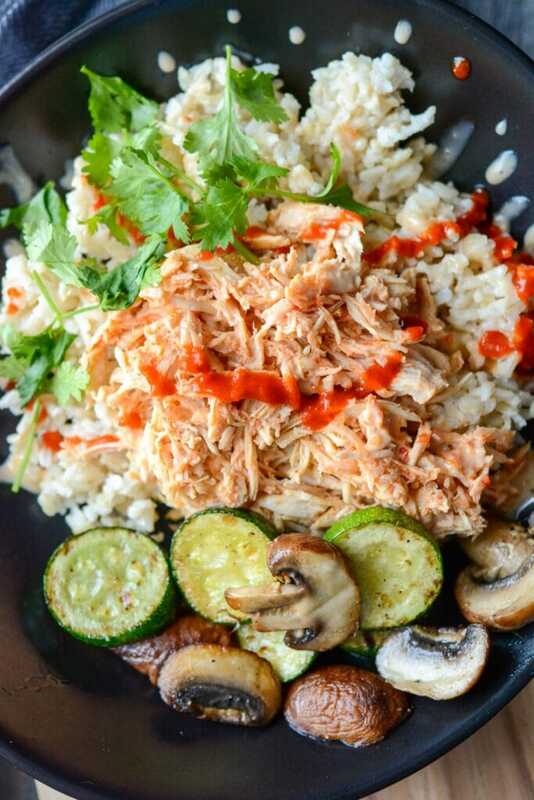 I chose to make bowl style meals out of this chicken but you really have so many options. I think making a double batch makes a whole lot of sense and you can easily use the leftovers in quesadillas, egg rolls, or any number of other quick-fix meals. I think meals like this work for my family so well because with all the different components someone is sure to find what they like. 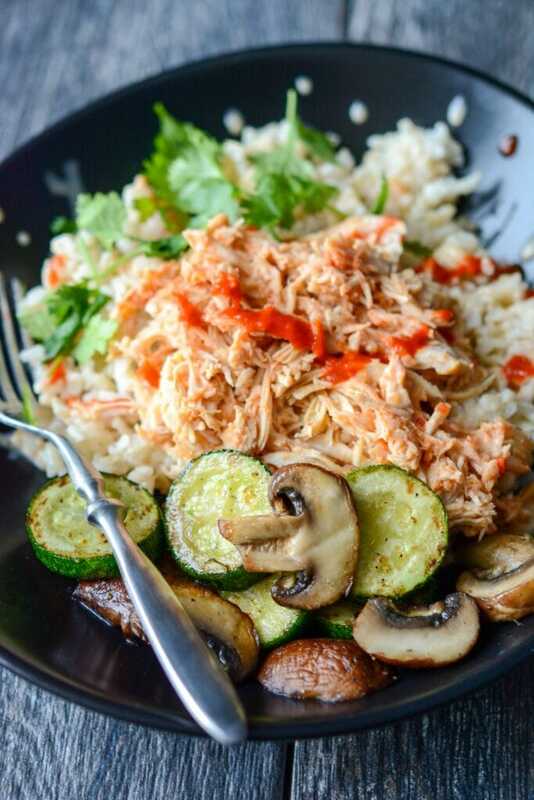 The guys like the spicy chicken, I eat more than my fair share of the veggies, and the little princess prefers the rice with just mushrooms. This is also only as spicy as you want it be. Want it to make steam come out of your ears? 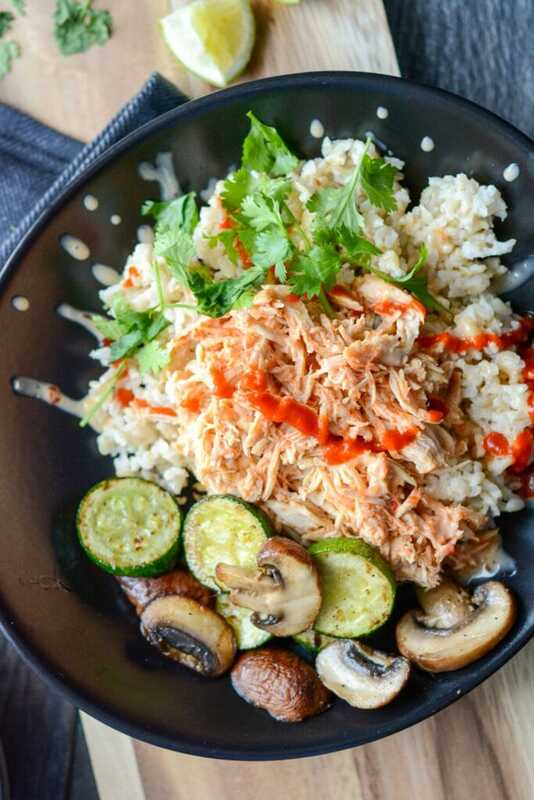 Keep adding that Sriracha! 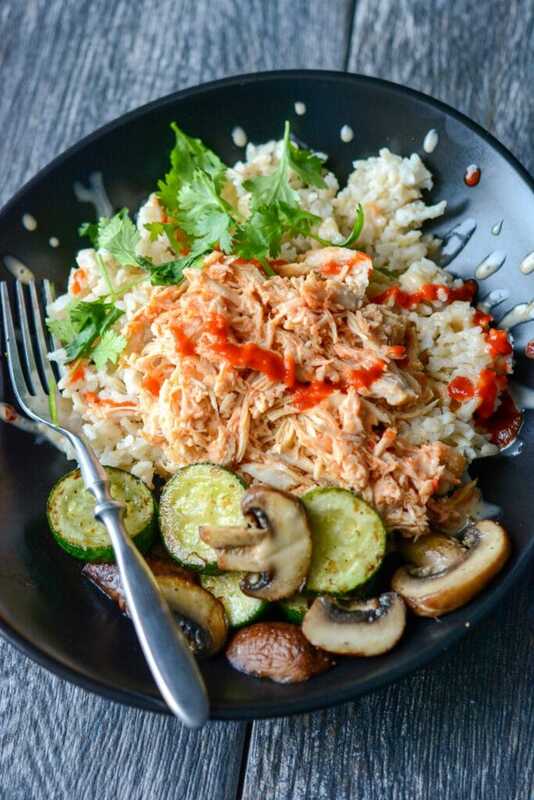 I’m a big fan of sriracha so this is definitely a recipe I need to keep in mind. And I love the the veggies on the side. This looks so good!